It’s a familiar story but we are again happy to report that London is continuing to see strong rental demand although there are still shortages of supply in many areas. Many of our 16 London lettings branches are finding that certain developments are often fully let and they have no rentable stock at all, such is the high demand, particularly for smaller properties. Developments such as Battersea Power Station, Sovereign Court in Hammersmith, Kew Bridge in Brentford and Beaufort Park in Colindale frequently find themselves with only one or two (or no!) 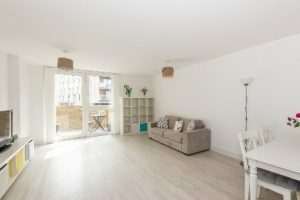 properties available and have waiting lists of referenced tenants ready to move in as soon a flat becomes available. So discussing new instructions with landlords is a priority for us. Of course, most tenants love the feel of a brand-new apartment but another point that these developments have in common is that they are located in areas that have been, or are being regenerated. This makes them vibrant and exciting places to live, with new cafes, restaurants and shops moving to areas which had been overlooked previously, putting them on applicants’ radar for the first time. Nine Elms, which is home to the stunning Battersea Power Station development, is perhaps the best known of these, attracting professionals from finance, tech, government, legal and engineering industries. Although comparatively new, the area is growing dramatically in popularity, as it offers these professionals the high spec homes, riverside location, good transport links and excellent amenities that fit the lifestyle they desire. In fact, apartments at Battersea Power Station can let even several months before they are vacated and, as a result of the high demand, rents are starting to push up already, with a typical one bed flat achieving £400-£475 per week in 2017, £475-£550 per week in 2018 and a projected £500-£600 per week this year. Across the river, regeneration around Victoria station is also transforming this formerly slightly shabby area with its new residential developments, refurbished buildings and new businesses. This is transforming the demographic of the area, attracting young professionals looking for a centrally located home in a neighbourhood with a real buzz to it. Further east, Deptford, between Canada Wharf and Greenwich, is also being put back on the map, with developments such as Greenland Place and Paynes and Borthwick opening up potential to investors and tenants. We have lettings branches in many of these newly regenerated areas and have fully referenced tenants ready and waiting to move into new apartments so if your rental property is about to complete, or if your current agent hasn’t succeeded in finding a tenant for your property, please give us a call. Rental demand in the City and east London remains strong, with properties letting quickly across the areas covered by our five branches in the City, Canary Wharf, Surrey Quays, London Dock and Wapping, and Greenwich. Despite political uncertainty, it seems it is very much business as usual, with enquiries plentiful and businesses continuing to relocate staff to the capital. There is no shortage of wealthy professionals and international students looking for homes in uber-luxurious developments such as One Blackfriars and Landmark Place (near Tower Bridge, EC3) and we need more instructions in both these very popular developments. 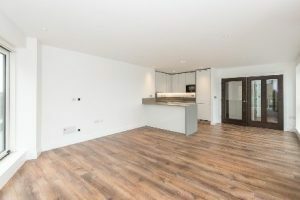 Nearby, in Canary Wharf, the Liberty Tower in E14, which has been completing since December, is also attracting a lot of demand from professionals. One-beds are achieving upwards of £425 per week and two beds £520+ per week. 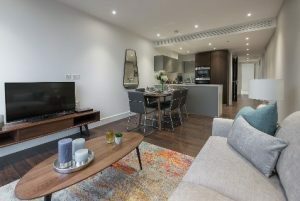 Other popular new phases completing now are Perilla Tower at Goodman Fields (handled by our City and Wapping branches) where Manhattan suites are achieving upwards of £475 per week and one beds £575 per week while Marine Wharf East at Surrey Quays is also seeing apartments letting very quickly with rents starting at £340 per week for a one bed. We also continue to see new areas further east opening up which have until recently been over looked, offering excellent value. One of these is Deptford which is increasingly popular with tenants and landlords, appealing to a changing demographic as young professionals move there due to its convenient location, riverside setting and affordable rents which typically start at around £310 per week for a one bed apartment in a development. Plaistow, East Ham and West Ham are also good examples, with the new Upton Gardens development, on the site of the former West Ham Football Club, also generating a lot of interest from budget-conscious professionals. Over at our Greenwich branch, the latest phase of Kidbrooke Village is generating a lot of interest, as too is the new Pavillion Square at Royal Arsenal Riverside, both offering excellent value for tenants. In Colindale, the last few weeks have been one of our Beaufort Park’s busiest ever starts to a year, with enquiries coming in non-stop for all sizes of property. Quite a few tenants are upgrading their accommodation by moving from a one-bed to a two-bed property, often as they start a family, but choosing to stay at Beaufort Park which has a great sense of community. We have plenty of enquiries coming in from overseas professionals relocating to London to join finance, law and tech firms – we have also found homes here for several professors at UCL. We are seeing professionals relocating here from countries worldwide, from India to Russia and Kasakhstan. All properties are letting quickly and we usually have a waiting list of referenced tenants ready to move as one becomes available. Tenants like brand-new properties but older ones are popular too, holding their value and appeal well, as long as décor and furnishings are regularly updated. Our Hampstead and Highgate branches also had a good start to the year, with properties of all types and sizes letting well – this has however led to a slight shortage of stock so both branches are looking for new instructions. 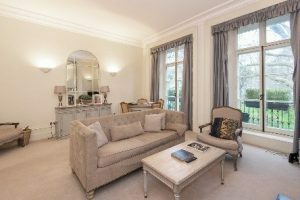 Our central London branches – Knightsbridge, Kensington and Hyde Park – are reporting that rental demand is continuing to pick up after January’s slight, seasonal lull. Affordability remains an issue for most tenants though so competitively priced studios priced from £275-£350 per week and one bed apartments £375-£450 per week are letting most quickly. 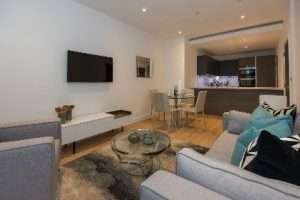 The regeneration of the area around Victoria station is having a dramatic impact on rental demand in central London, particularly neighbouring Knightsbridge, with new developments such as Kings Gate, Nova, The Hansom and 55 Victoria Street attracting increasing numbers of applicants, particularly young professionals and international students. Studios and one bed apartments here are flying out. Many applicants specify a particular development by name, in fact, we have waiting lists of fully referenced tenants, particularly younger professionals, waiting to move in to some buildings, attracted to the area’s new sense of vitality with its contemporary cafes, bars and restaurants, as well, of course, as its convenient location and excellent transport links. More traditional period properties can take longer to let than apartments in new developments so, at this generally quieter time of year, rather than ending a tenancy in December or January and risking a void of several weeks, we advise landlords to implement a 13 (rather than 12) month tenancy to ensure their property remains tenanted throughout this period. This is proving successful, with increasing numbers of landlords now doing this – we therefore see more properties becoming available from February onwards, with landlords finding their property rents more quickly as the market picks up. Tenants too have greater choice if they decide to move nearer the spring. Rental demand is strong at our Nine Elms branch and January was busier than last year, with properties letting very quickly – this is primarily due to the fact that the area is becoming so much more well known. We have a waiting list of fully referenced tenants waiting to move in to apartments in the area, in fact, applicants often sign a tenancy agreement before their chosen apartment has actually been vacated, such is the demand. Currently, we have just one apartment unoccupied and available to let. Stock levels are good and we will soon be taking on new instructions at the new buildings in Embassy Gardens and Keybridge. It has been a very busy few weeks in West London at our Imperial Wharf and Chelsea Creek, Dickens Yard and Kew Bridge branches which are all reporting strong demand. Our Dickens Yard branch in Ealing is seeing high demand from corporates and relocation agents, particularly from Japanese professionals who will be relocating to London in March/April, the time of year when Japanese companies regularly relocate their staff overseas. There are a few apartments left at Quartz House and we are receiving new instructions here too but after the spike in demand in early January, we do have waiting lists of tenants waiting for new apartments to become available. 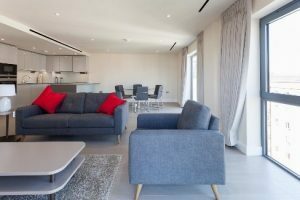 At Kew Bridge, apartments too are letting quickly, many to corporate clients, particularly in the oil industry – we have also just let a spectacular penthouse apartment to a senior executive, one of the best in the development. The branch has also now let over 40 apartments at Dolphin House in Sunbury-on-Thames, another new development which offers excellent value to young professionals. Stocks are running low at Fulham Reach in Hammersmith, after a busier than usual January which saw lots of enquiries coming in, particularly for the new phases at Sovereign Court – Beaulieu House – where we have now let all our stock – and Montpellier House where there are now just a couple of apartments vacant. 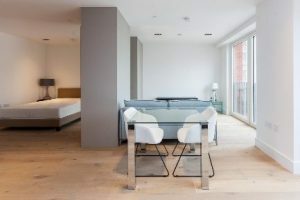 Apartments at nearby Queen’s Wharf are all now fully let too.